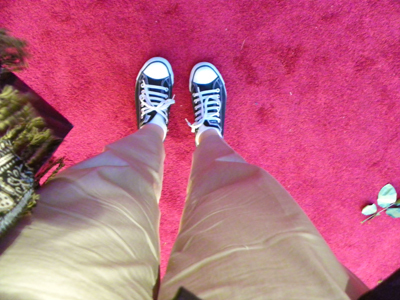 For one of my most interesting assignments for my job, I got to go Hollywood to sit in the Oscar's red carpet bleachers. 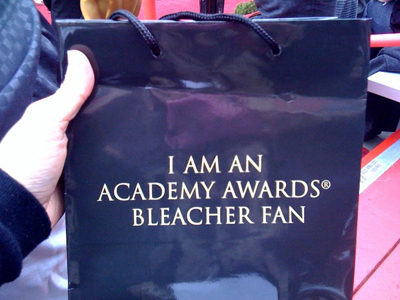 I was what is referred to as a "bleacher fan". There were so many stars, I was constantly snapping away with my camera. I was able to zoom in really close. Tina this one is for you. I did get to step onto the red carpet for a moment, when we were herded across the street to the El Capitan to watch the awards ceremony on the big screen. What an amazing experience! You can read and see more pictures over on 1000Words blog. 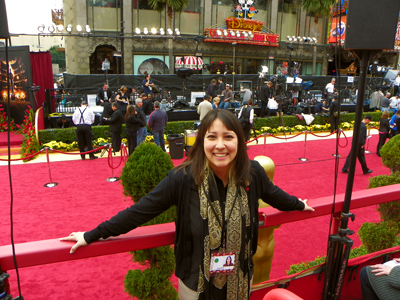 "For one of my most interesting assignments for my job, I got to go Hollywood to sit in the Oscar's red carpet bleachers." You have such an awesome career ! 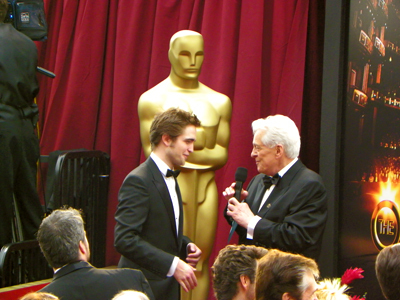 The fact that you got to go and see Robert Pattinson in person , enough to get a close up of him. Ahhhh !! hehhehe. Thanks so much for posting all the tweets. 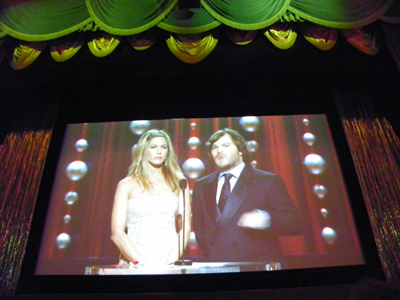 I was at a Oscar party and got to see a different side of the oscars because of you. What fun. What a fantastic and exciting year you have had. Hope it continues for you. Thanks everybody! Denise - I'm so glad you enjoyed the tweets! I just got this week's People in the mail. On page 52 the Oscars' covereage starts. Just a little above Sir Ben Kingsley's head, I spy ljc and her camera! Karlene - no way! I gotta go get a copy! Thanks for the heads up! It's the March 9th issue with Michelle Obama on the cover. YESSSS... love that 24x zoom!!! 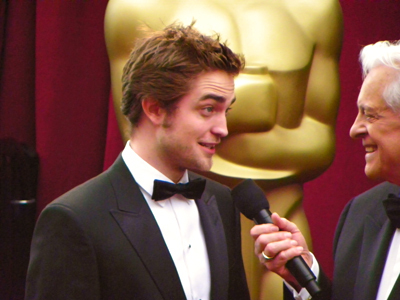 Hello Robert! Stopping by from Welcome Thursday . Looking forward to following you! Carpet cleaning Manassas VA does a fantastic job! He really works hard to ensure the best results After They did his magic my couch looks like new and so do my carpets! Very happy with this services, plus he is friendly and very accommodating. I highly recommend!